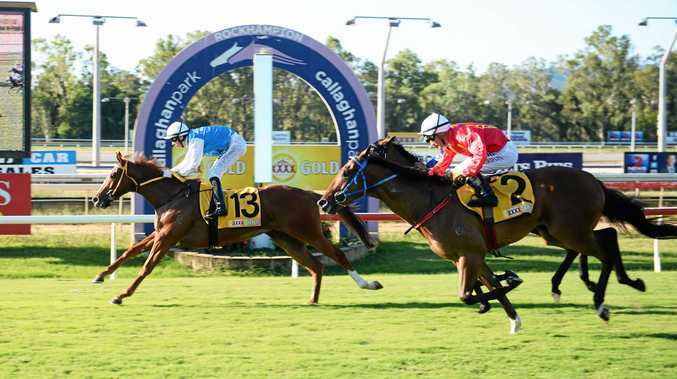 ROCKHAMPTON'S Callaghan Park racecourse has been the production setting for a world of mixed emotions created by thoroughbreds since racing began there in June 1898. Last Saturday, before a swelling crowd, another chapter unfolded, evoking personal triumphs from the leading players in racings theatre: the thoroughbred, the jockey, the trainer and owners. The irony was, that true to the script of a tearjerker, the starring role belonged to a once rejected son of Hemingway (not the famous playwriter) that etched his own name in the record books by winning Saturday's $75,000 3 & 4YO CYS Championship (1300m). To the roaring enticement of parochial racegoers, Rockhampton owners Greg and Elaine Sturgiss and Paul and Barbara Wagner's "home bred” Hemingway-Maredamah three-year-old Marway, upstaged more upmarket rivals. It was a special win as Marway was overlooked by buyers at the 2017 CYS, failing to reach his modest reserve and was retained by his breeders the Sturgiss family. Marway (Brad Pengelly) eclipsed mega-star Our Boy Malachi'strack record of 1m: 15.17 seconds by running 1m:15.08 for the 1300 metres on the redeveloped Callaghan Park circuit which was opened for action in January 2010. While the official race book credited the record time for 1300 metres as 1m:14.60 seconds to Rockhampton Newmarket winner Frosty, that was incorrect, as that time was registered in June 2009 on a much different circuit. Gifted Brisbane heavyweight jockey Brad Pengelly, who struggles to ride just under 57kg, handed punters a huge tip earlier last week when he committed to ride Marway at his surprising minimum race gift handicap of 54kg. Pengelly jumped Marway straight to a clear lead from the minute the barriers sprung open and then when the pair were making music and marking time out front, it was obvious at the halfway mark they would take a power of beating. 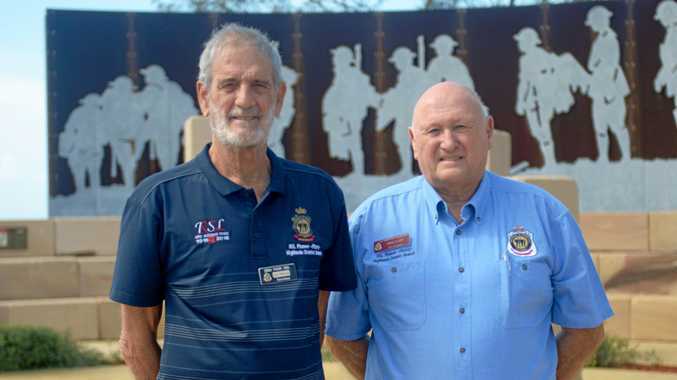 So it was as Marway slipped into overdrive in the closing seconds of the race to defeat one of Queensland's best maiden gallopers in Diamond Account, by an extended margin. The Tax Accountant did best of the better-known stars finishing fourth while race favourite Emsie Is A Star belied her name but then again was found to be "off colour” after the race. Marway and Pengelly completed their roles in record time but it took the pair and indeed the owners and trainer John O'Sing what seem to be an eternity to arrive in the winner's stall before their cheering fans. Pengelly, who later said he lived on small helpings of fish and salad for the three days prior to the race, brought Marway back to the enclosurewith the help of ''valet” (Clerk of the Course) Peter Hunt minutes after the other place-getters had left. It mattered little as O'Sing, with the four owners the Sturgisses and Wagners, were also late arrivals after being mobbed by well wishers as they descended from the Members Auditorium viewing area. It was a sight to behold as the owners shed tears of joy, and with proud trainer O'Sing they greeted Saturday's hero Marway. The touching scene was witnessed by scores of racegoers, who also voiced their congratulations. Pengelly shed three kilograms in the days prior to Saturday which included languishing in the jockey's room sauna in the hours prior to Marway's race at 2.243pm and he was ashen white on return to scale. Minutes later in a quiet corner in the inner sanctum of the weighing room he explained it was the lightest he had ridden in years. "The last time I rode at 54kg was on Hidden Gem some years back,” he said. A racing scribe's guardian angel Google soon revealed that was on New Year's Eve in 2016 when Hidden Gem won the Falvelon Quality in Brisbane. Regaining his composure, Pengelly said: "He (Marway) owed me this. "He can be a naughty horse and some months back tossed me out of the saddle from the barriers and I was out (not riding) for two months with a back complaint. For Marway's always laid back but gifted trainer O'Sing, it must have been a case of deja-vu for his new star to break the track record held by his former superstar Our Boy Malachi. It would be irreverent to think Marway is in the class of Our Boy Malachi simply on the basis that he ran a faster time. From a lifetime in racing, O'Sing knows only too well that bragging on race times is fraught with danger as they are the creation of myriad different circumstances. The common thread is that race times are a "valuable guide” and in the Marway case, it confirms O'Sing has found another talented racehorse. Saturday's feature race, the $125,000 Capricornia Yearling Sale 2YO Classic (1200m) was won by Toowoomba trained Good Humour (Justin Stanley), a $10,500 purchase from last year's CYS. Good Humour has a Rockhampton connection as the Squamosa filly is partly owned by Taroom-born Kelly Bond, the daughter of Rockhampton trainer John Pointon. Courageous Hezhome, raced by a big syndicate including Rocky's Paula Fisher was second, and Tommy Whitehouse's Blackwater part-owned Pull Anchor was third. For the first time under the Capricornia Yearling Sale selling banner, yesterday's sale in Rockhampton exceeded the magical millions mark with receipts reaching $1.016 million.